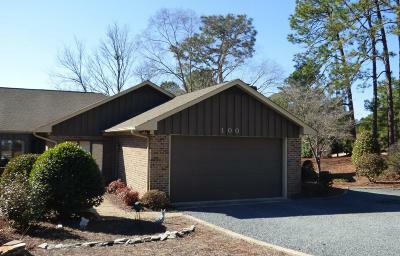 Beautiful golf front single level townhome located in Midland CC. Open and bright floor plan perfect for downsizing. Conveniently located off scenic Midland Road just minutes from hospital, shopping and day to day activities. Low maintenance brick and vinyl trim exterior with minimal yard upkeep leaves lots of time to enjoy golf, pool and social activities. Custom renovations redesigned floor plan for today's lifestyle. Spacious great room concept with kitchen, dining room and family room opening to patio w/ electric awning overlooking the golf course. Plus separate living room with skylights for more formal gatherings.